Sweetwoods Park Golf Club is a stunning Par 72, 18 hole parkland course situated on the A264 between Tunbridge Wells and East Grinstead. 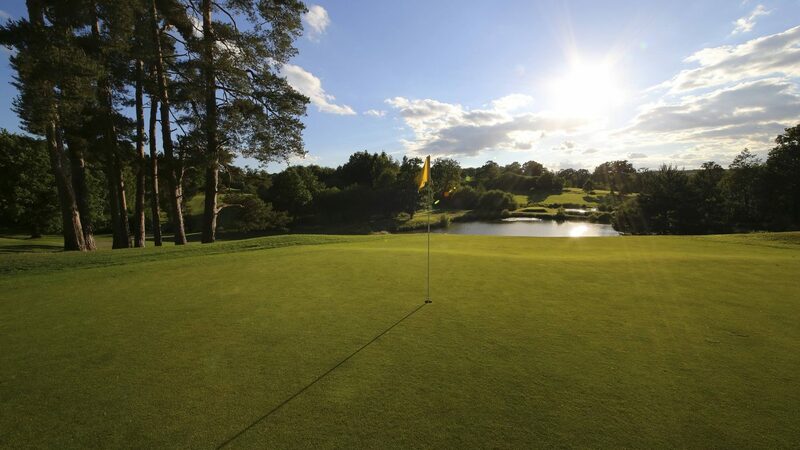 Set within the Wealden Area of Outstanding Natural Beauty, the course boasts an array of spectacular views and offers an outstanding golfing experience. Continual investment in the course is given year round to ensure it is always at an exceptional standard. A contemporary Clubhouse offers the perfect area to relax after your round of golf with stunning views available from the Terrace Bar. A great variety of food is available daily, whether you’re after a light bite or something more substantial, Sweetwoods Park can cater. Visitors are welcomed year round and competitive packages are available for societies and corporate days, which can be personalised to your requirements. Visit sweetwoodspark.com for more information and to book a tee time. Alternatively give the Pro Shop a call on 01342 850729 Ext 1 or call 01342 850729 Ext 2 for society or corporate bookings. The team look forward to welcoming you to Sweetwoods Park soon. Winter packages start from £31.75pp Summer packages start from £43.75pp One green fee deducted for every 12 players. Repeat booking loyalty discounts are offered with 5% off the package price per person. Certain restrictions apply for when society/ corporate bookings can be taken; speak to a member of the team for more information. Sweetwoods Park is located directly on the A264 between Tunbridge Wells, Kent and East Grinstead, West Sussex. The postcode is not reliable with sat navs or Google maps so instead please search for Colestock Road, which will show the correct location. Please note prices do increase in the summer months. Prices correct at time of printing. Visitors can play 7 days a week but please be aware there are some member only playing times. Bookings can be made 7 days in advance. On-site Pro Shop with indoor Swing Studio.